Outsmarting Cybercriminals: Anti-Virus Monitoring in Boston – Synivate, Inc.
Studies show that cybersecurity threats are on the rise in 2018 and they are only expected to get worse in the new year. Some of the most widely used cyber attack risks in Boston and the surrounding area include exploit kits, ransomware, banking trojans, and cryptominers. The threats are real for both consumers and business-based accounts across millions of machines nationwide. Through monitoring management services, American businesses detected over 50 percent more threats in the Q3 2018 than in Q2, revealing that cybercrime really is on the rise. Anti-virus monitoring in Boston is more important now than ever before. By far the biggest protection against cybersecurity threats is to provide employees and co-workers with the tools they need to spot an email attack. Today’s phishing attacks are more fine-tuned and targeted than in the past. 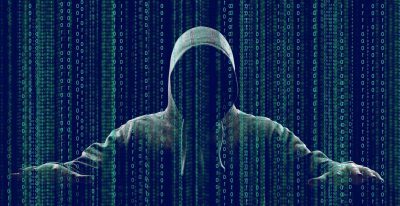 Criminals now use a bit of information gathered about you, such as your name and a website, hobby, or another interest that would catch your attention, to increase the chance that you might click on an email or download a file. Another way that cybersecurity threats can impact a business is through an attack known as social engineering. Most of these attacks are carried out via email as well, but they can also happen over the phone. It is a basic con where someone contacts you and tries to make it sound like they also work for the company so you will trust them. Once you divulge information and provide them with the details they need for other attacks, they will start doing searches online to find even more details about you that they can use to their advantage. This is why social media is such a threat to cyber attack risks in Boston. Names of pets and kids, hobbies and activities, friends and loved ones – all of this information can be used against you, either to guess your password or gain access through future cons. Synivate can come to your office as part of our monitoring management services and anti-virus monitoring in Boston and the surrounding area to provide you and your staff with more information about cybersecurity threats and attacks. The more you can learn about real life situations like this, the less likely you will be to fall for one of these social engineering attacks. In addition to reducing cyber attack risks in Boston through monitoring and education, Synivate also encourages our clients to back up essential data and systems to reduce the effects of a cyber attack. This is particularly helpful with a ransomware attack. First, you won’t have to pay the ransom to get your data back because you will already have it; and second, you can get everything back up-and-running with our Synivate specialists right away. Our IT team will also work with you to ensure that changes are made to prevent further access by the attacker. Start the process to reduce cybersecurity threats by contacting Synivate direct about our full line of professional monitoring management services. Whether your primary goal is anti-virus monitoring in Boston or if you have other issues that might pose additional risks, our team can help you find solutions designed to protect your business. Give us a call at 617-517-0704 and speak with one of our technicians about programs available to reduce cyber attack risks in Boston and the surrounding area.